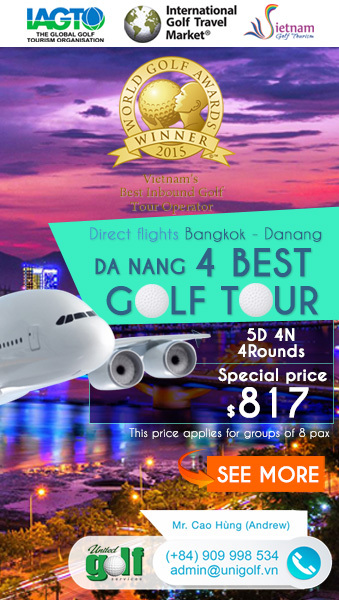 Dalat Golf Club (dalat palace golf) is situated in the the South-western highlands, 1500m above sea level in the temperate highlands of Dalat, a 30-minute flight from Ho Chi Minh City or 1.5-hour flight south from Ha Noi. Imagine a place where you can forget about the sea of crazy motorbike traffic, where you can stay outside all day long, enjoy the sun and play golf at one of Asia’s best golf courses in a country where daytime temperatures rarely fall below 20°C (68°F) and humidity hovers around 80-90%. 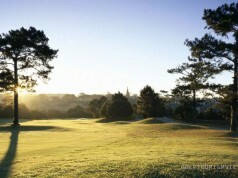 It’s time for you to go to Dalat Palace Golf Club. The 9-hole course initially designed by a French architect in 1922 as a private golf course for Emperor Bao Dai, Vietnam’s last Emperor. The course is located in the center of Da Lat city, rising above the Xuan Huong Lake, which is considered as the heart of Da Lat. It used to be a popular destination of French and American officers who wanted to enjoy the cool climate and fresh air of the mountains during the French Indochina War and American War. The course has reflected the changing times in Vietnam. 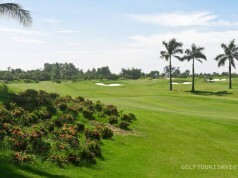 After the Reunification of Vietnam in 1975, the course was left to nature and weeds until 1993 when a millionaire named Larry Hillblom, the co-founder of DHL, did a big renovation that turned the golf course into a full 18-hole golf course which has now become one of the leading courses in the whole of Asia. Contrary to the other courses in VN, with its year-round cool weather, Dalat Golf Club (dalat palace golf) is the only golf course in Southeast Asia with Bent grass tees, fairways and greens. Bent grass has very thin blades that grow densely and can be very closely mown, resulting in a felt-like smoothness to the putting surface. The course measures 7,009 yards, par 72 and provides an enjoyable challenge for players of all skill levels. A series of lakes in the course will test and challenge low handicap players. High handicappers will find relief with large accommodating greens normally left open for run-up approach shots, as well as wide, forgiving fairways. The Club House, built in 1956 in Tudor style upon a high hill, sets the scene for the entire course, and was completely restored to its former beauty in 1990. It boasts a fully stocked pro shop catering for all golfing needs, a wood burning fireplace, outdoor patio areas and international standard restaurant serving a great mixture of Vietnamese and Western food. Surveys in 2001, 2003, 2005, and 2007 by Golf Digest ranked the Dalat Palace Golf Club as the top course in Vietnam. 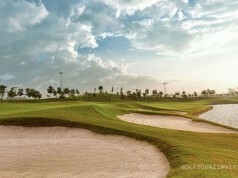 Asia Golf Monthly Magazine in 2011 recognized the course as one of the top-10 in all Asia. The club is also a member of the Finest Golf Clubs of The World (London). 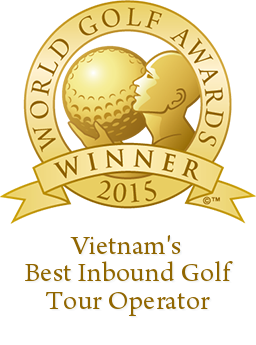 All awards are a tribute to Vietnam’s best golf course! Address: Tran Nhan Tong, Ward 1, Da Lat city, Lam Dong, Viet Nam. You will love this course! I always choose Dalat for my golf trip. valoroasa, mai ales ca am mai gasit aici si despre dalat golf course, ora exacta, lucruri interesante si folositoare.